Traditionally, great time and effort went in to estimating the size and speed of the required server(s) to meet the estimated peak load within your business. However, with cloud computing, the right support means you don’t need to make large upfront investments in hardware and spend a lot of time managing that hardware. SourceCloud are experts in setting up and managing those processes. With cloud computing’s granular charging models, we enable you to test and resize your servers in minutes, taking the guess work out of predicting your required capacity. When it comes to peak loads that may be daily, seasonal or even dependent on the weather, then why pay for additional capacity when it’s not needed. With cloud computing you can automatically scale your capacity both up and down when the load requires it, keeping your costs optimal and also handling those unexpected loads without crashing. AWS is the market leader in cloud computing and as AWS partners, SourceCloud are ideally positioned and have the extensive experience to help you migrate and maintain your applications into the cloud and assist you in starting to save money and to deliver a resilient system no matter what the conditions. Because families lead such hectic lifestyles it’s easy for them to forget things, so a little helpful reminder from the school by text helps them remember the things they and their children need to do. 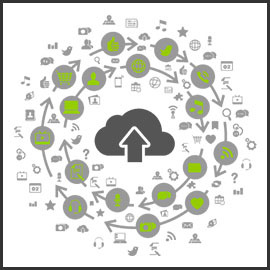 With cloud computing, it is important to manage your costs to maximise your savings. SourceCloud have developed there own solution which makes the management of servers easier and more cost effective. SourceCloud are proud to be Amazon Web Service (AWS) Partners. As an organisation we have been using AWS since January 2010, where we provisioned our first Windows Instances for a snow alert system, as part of our TxtRound solution. Since then we have grown with AWS and use many of today’s available AWS services across our portfolio of projects and clients. 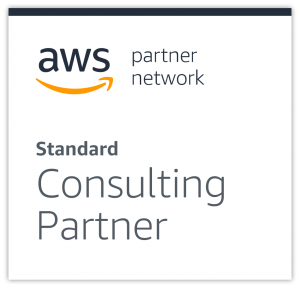 Our AWS certified team of project managers, architects and developers love to work on new projects and challenges, so if you are looking for an AWS partner, please just get in touch so we can discuss your requirements. © 2019 SourceCloud, Ltd. All Rights Reserved.